I’m really excited to be introducing you to Game Flow in this blog! It’s a really interesting film about gaming and mental health which I had the honour to learn about & get involved in after discovering they were in need of a composer. I connected with Emily Crawford, the Director, Producer and Editor for the documentary and together we worked on the music for the film. Who are you and how long have you been involved in films? What’s Game Flow about and where did the inspiration behind this documentary come from? 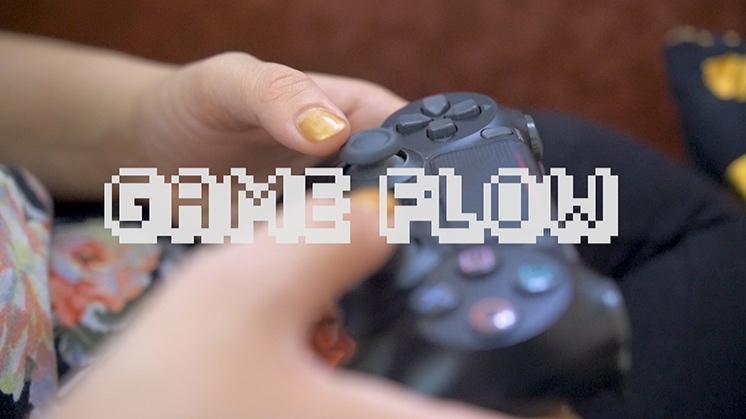 ‘Game Flow is a short documentary about how gaming can be a powerful tool to help people deal with anxiety and mood disorders. It celebrates the positive impact that games can have on mental health, and attempts to debunk misconceptions about video games being addictive or encouraging violence. Why do you feel this topic is important? What are you hoping people will takeaway or learn from this film? ‘I feel that this topic is important because outside of the gaming community, nobody really talks about the positive aspects of gaming. There is so much media attention given to the supposed downsides of games, like increased violence or addiction. But there's really very little solid research to support the idea that video games are addictive, or that violent games encourage aggression. There are interviews with psychologists and games researchers in the documentary that get into all of this. Meanwhile, mental healthcare is really inadequate in most of the world, and mental illness still heavily stigmatized. Games are this potential tool for good that is largely being ignored. I'm not advocating for gaming to take the place of therapy or psychiatric care, of course, but games can be a really helpful supplement to treatment. 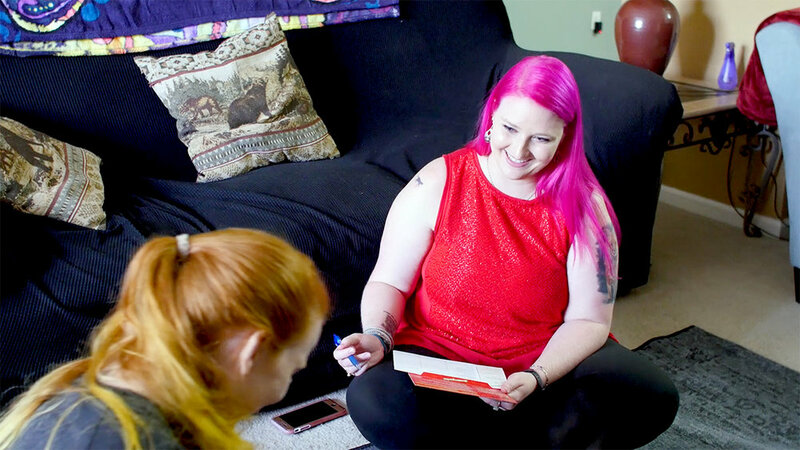 There is research being done on the subject, and there are some wonderful people incorporating gaming into mental healthcare, but no one really knows about it outside of some very small communities. So I wanted to bring attention the subject, to destigmatize mental illness and gaming, and to encourage people to explore the therapeutic potential of games, especially for mood and anxiety disorders. Who’s been involved in the film and what has the process of making it been like? ‘I've had a wonderful, generous team of crew members, faculty advisors, funders, and other collaborators, and I could never have finished production without them. The crew were mostly my classmates from film school, as well as my very patient boyfriend, Joey Trimboli, who has also helped with marketing and outreach. Filming was a great experience because it involved meeting all of the amazing people who are in the film. I was able to connect with people over our shared experiences with games and mental health, and I made several real friends along the way. What was your thinking behind the music soundtrack? What made you decide to work with me (Ninichi) & what has it been like? ‘I had gotten this idea stuck in my head that I wanted to do something influenced by chiptunes and retro game music in general. I think I wanted to evoke nostalgia for the games people played when they were young, because that's when most people first connect with the medium. I posted on social media (@GameFlowDoc) that I was looking for a composer for the film. I heard from quite a few people, but Ninichi's portfolio really stood out, both because of her talent in general, and her obvious familiarity and skill with chiptunes and game music. Most of the composers who expressed interest in the project had done music for games, which I thought was really cool, but Ninichi was unique in that she had already done things very similar to what I wanted for the film. What are your plans for the film, where can we watch it and what’s next for you? ‘As soon as the postproduction for the film is finished (which will be in Spring 2019), I'll be submitting it to festivals and doing some community screenings in the Washington, DC area. After a festival run, we'll make the film free to watch on Youtube and on our website, gameflowdocumentary.com. We'll be posting updates on the website regularly about screenings, festivals, and our progress in general, so anyone interested in the film should definitely keep an eye on the site. You can also sign up to receive updates about our festivals, our release date, etc. This all sounds fantastic! Thank you so much for taking the time to tell us about Game Flow. We will be sure to keep our eyes out for the documentary and to spread the word where we can! About the interviewer: Ninichi is a freelance composer who creates music for indie games, films and media. She is a great supporter of indie projects and runs this blog in the hope that it offers useful insights for the game development community. She is open for commissions and would be happy to help you with the music to your game should you need it. Contact her now to discuss your project with her. Tell us about yourself and how you got into creating films? ‘My name is Taylor Walsh, I’m the writer and director of ‘Cirque du Mors’ and I’ve been creating films for almost five years now. I first got into filmmaking when I was in middle school, drawn to the idea of being able to create new worlds to share with others. Where did the idea for ‘Cirque du Mors’ come from? ‘‘Cirque du Mors’ is the first larger scale project I’ve taken on in my career. It is a story I have been working on since I was in film school and has had almost four years of growth. 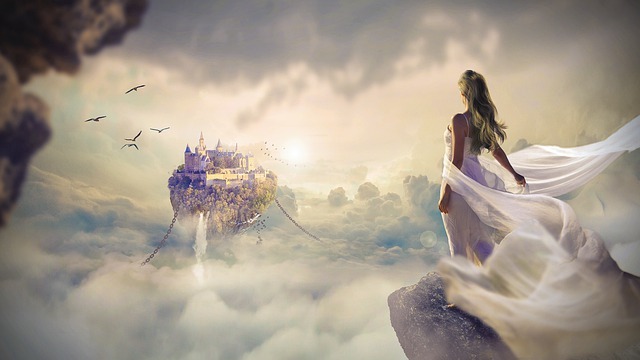 The film centers around a young girl named Alayna who finds herself transported to a world full of excitement and wonder based in a carnival setting. However, as she navigates this world she discovers that it holds a malicious secret that puts her life in danger. 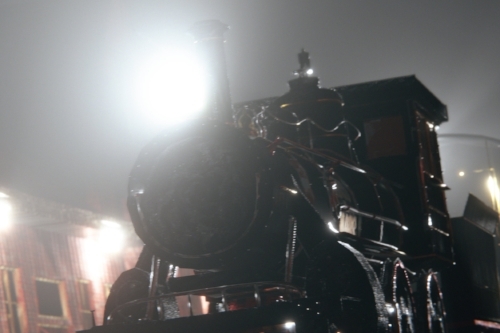 Can you tell us a bit more about the film & what lies behind it’s creation? ‘Cirque’ is a film that I have been working on for years now. It has gone through many different edits and developments throughout that time. The biggest challenge has been bringing to life a world that does not exist on a small scale budget. Taking on a film that requires creating an entire world digitally was a huge undertaking for a debut film, but I believe it was necessary for the visual style and storytelling. What part does music play in ‘Cirque du Mors’? ‘Aside from the visual effects, the music also had to be a huge aspect. There are very little lines of dialogue in the film, so most of the storytelling is told through music and Ninichi was the perfect fit and final piece of the puzzle! What made you decide to work with Ninichi and what’s the process been like for you? What are your plans for the film & where can we see it? ‘As for the film, I am excited to announce that ‘Cirque du Mors’ will officially be posted on YouTube on October 26, 2018! You will be able to find it on the YouTube channel CirqueduMorsFilm. Ninichi is a UK-based freelance composer creating music for film, games and media. Need help with music? Check out her film music page for examples of her work & contact her to explore working together. There are many things to think about when putting together a film. One key area to think about is the music soundtrack and how to choose music to fit and enhance the film overall. As an indie film music composer, I’ve worked on a variety of really interesting films and film projects (see some of the film music I’ve done here and view my credits). I believe that music plays an important role in films but it isn’t always the easiest aspect to get right. When done well though, the music can really help to enhance a viewer’s experience and understanding of your film and so it’s definitely worth taking the time to think about and to find the right music for your film. Music can be used to set the tone and to create the overall mood or moods across a film. As scenes change, so should the music. Think about what’s going on in your film and try to be aware of what kind of music might be needed to help create the right mood for each part of it. The most important function of music in films is often to enhance the emotion and emotional elements in a film. Identify the key moments in your film and use music to your advantage in those scenes. Use it to bring out the emotions and to help your audience to feel and to connect with what’s going on. Music touches us in many different ways and it’s important to combine the visual and musical elements in your film to help build a stronger emotional connection with your audience. Not all of your film may need music or benefit from it. The lack of music can also be quite powerful. Think about where you want and don’t want music across your film. Make sure that when you have music, that it’s there for a reason and isn’t just filling in the gaps. Music can be used to drive the pace and rhythm in your film. It can be used to build up tension, to relieve it, and to create a sense of urgency or not, depending on what you need. Think about where you may need the music to help move things along versus where you may need it to calm us down. Which films and film soundtracks do you like? Why? It may sound obvious, but a great source of inspiration and ideas is to watch other films and to listen to the music used in them. Listen to what works and doesn’t work for you when watching the film. Listen hard and try to identify exactly what it is that you like or don’t like about the soundtracks that you hear. This means noticing things like the instruments, the style, the amount of music used etc. This can be really useful in identifying what sort of music style(s) you like generally and what you may want for your film. Feel free to browse through some of my film music if it helps to give you a better idea of what's possible for your film soundtrack. So there you have it! 5 different things to think about when trying to choose and use music in your film. I hope that some of these thoughts are useful to you, and if you’d like to explore things further, I’d be very happy to learn more about your film and to help with your film score. See more examples of my film music here and contact me now to start talking! Ninichi is a freelance film music composer and game music composer, who's music has featured in numerous films, tv shows, games & more. She has worked on a variety of indie films & would be delighted to help you with your film project. Check out examples of her film music here & contact her to explore working with her. Are you thinking about hiring a freelance composer to work with but aren’t quite sure about how it might work or how to ensure that it works well? If so, don’t worry. It is a completely natural feeling especially if you’ve never worked with any freelancers before and it’s important to address your concerns and to make sure that you find the right person for you and your project. I’m a freelance music composer and have worked with clients and projects all over the world – including working with game developers, filmmakers, podcasters, TV producers, marketers and more (see my homepage to get to know me, Ninichi a bit better!). I work from my home office and have never met many of my clients, yet my working relationships with each one feels really strong. There’s a sense of trust, my clients know that they can rely on me to get the work done and done to a high standard, and that I will always do my best to create music that embodies their visions. They also know that I will always be there to respond to their needs whenever they have something to say, ask, explore, feedback on or to work on further. I can only share what I have learnt through my own experiences but hope that these will be helpful to you in ensuring that you are able to foster strong working relationships with the freelance composer and actually all freelancers that you decide to work with. So here are a few tips and ideas that come to mind but in essence most of it comes down to good communication. That is about what you want, need and are hoping for in relation to the music you require for your project. The more you can say about what you’re looking for, the easier it will be for your prospective freelance composer(s) to determine whether or not it’s something they can help you with or not. Make sure that you are clear about what you like and don’t like about what they’ve done and guide them towards what you’re looking for, but don’t be harsh and be sensitive to the fact that they are most likely trying to deliver good work to you, so if it’s not right the first time, try to be patient and understanding. To do this well check out: How to Communicate Effectively with a Composer. Make sure that you’re there when they need you. They may want to ask you some questions or get feedback from you on their music. Try to be as prompt as you can in offering your thoughts and in keeping the momentum going. If you’re both available to each other when you need each other, working together will feel quite smooth and easy. It’s a little tough to say but in truth, everyone needs to be able to communicate with a work colleague (freelance or otherwise) at the same sort of level, so if you feel that they aren’t understanding what you’re asking for, then they aren’t the right freelance composer for you. Your composer is the specialist in music. You aren’t expected to be nor should you try to be as it could end up confusing everyone. Just try to explain in as simple terms as you can, what you’re after – in terms of mood, style, context for the music etc. and you should be fine. I find that the people I work best with are those who have taken the time to look around my website and listen to a few examples of my previous works. That means – checking out my music show-reels, looking at my credit list, listening to different examples of my music, and generally getting a feel for the type of music I compose. If you understand what your freelance composer is capable of, you can get a sense of what’s possible for your own project and you can determine this yourself to some degree by listening to what they’ve done already and seeing if you like it. It’s also easier to work with people when they pick out certain tracks that they liked from your previous works as it gives me a great indication of the type of sounds, style and moods that they particular like. In order to help your freelance music composer understand what you’re looking for and what you have in mind music-wise for your project, it can really help to have reference tracks. This can be there to offer inspiration and to help the composer understand the mood you’re hoping for, the musical instrumentation that you like and are imagining for your project and the flow of the kind of pieces you like. In order to build a strong working relationship with your freelance composer, don’t micromanage them. The last thing they want is to be having to report back to you every hour or so. They need time to get into the creative zone and to focus on creating great music for you and your project. So, you need to be able to trust whoever you’ve chosen to work with, to be able to get on with the task at hand and to deliver great music to you when they’re ready to. At the same time, don’t be elusive. Don’t be hard to contact or slow in responding to them if you can help it. Getting feedback on music quite quickly after it has been done is really helpful for composers since they’ll be ‘in the zone’ and it can be really useful to keep that momentum going and to continue working on your project whilst it’s ‘hot’! Let me help! Get in touch now :-)! About the author: Ninichi is a freelance composer and music enthusiast. She has composed the soundtracks and music to several indie games, films, podcasts, web series, commercials and more. Contact her: to explore working with her on your game, film or media project. 3 Basic but Important Game Music Rules! So, you have a great idea and maybe even an awesome team working on it already! That is an excellent start, however, the often tricky issue of financing your project may be something you have yet to decide on and to have set up for you. Are you sure that you have the funds to see your exciting project through? If not, then crowdfunding may be something for you to consider. I’m a composer (get to know me more!) and also a great supporter of indie projects. My work has enabled me to connect with many indie game developers, indie film makers and a wealth of other amazingly talented individuals and teams. One area that is often very challenging from what I’ve seen, no matter what stage you and your project may be at, is ensuring that you have enough funds to keep the development of the ideas and resources going. This is the probably the most popular crowdfunding site out there. You will receive the amount that you ask for (minus fees), if you hit your target, but it is an all-or-nothing approach. Kickstarter is probably the most well-known of the crowdfunding platforms on this list and thus offers great marketing reach for your project, but there is a risk that you may not get any funding for your project at all, if you don’t reach the specified target. Indiegogo lets you choose between two funding options: flexible (where you keep what is raised), or fixed funding (all-or-nothing). The fee is 4% if your goal is reached or 9% for flexible funding if your goal isn’t reached. It is less well-known than Kickstarter but does give you the opportunity to make sure that you receive all the money that your supporters have given to your project, should you reach your target or not. This claims to be the UK’s number 1 crowdsourcing platform and offers both flexible and fixed funding options. Similarly to Indiegogo and Kickstarter, it’s a rewards based platform and so backers pledge money in return for specific rewards. Patreon is a subscription-based crowdfunding platform. Investors pay a certain amount each month in return for specific rewards set and organised by you. It’s a great option if you want to harness the on-going support for you and your projects. Ulule launched in Oct 2010 and since then has become the leading European crowdfunding site. They boast having financed over 21k projects and to have over 1.9 million members worldwide. They offer personalised coaching for all projects – before, during and after each campaign, and swear by this approach. They’re all about enabling creative, innovative and community-minded projects to test their idea, build a community and make it grow. Seedrs is an equity crowdfunding platform, meaning that supporters of your project are investing their money in return for a percentage of your business. The platform lets you choose how much equity is on offer and you have 60 days to raise the investment. You also get access to mentorships, networking and more. The ethos is around offering support before, during and after fundraising. With over 500,000 members, Crowdcube claims to be Europe’s leading equity crowdfunding platform. You can select your preferred fundraising option – of equity or mini-bonds, and then start pitching to investors. You can share videos, a business plan and details about why you’re seeking funding for your project. Fig advertises itself as a community funding and publishing platform for indie game developers. I’ve put this one in the ‘other options’ section as it offers both the usual rewards-based crowdfunding option but also lets you earn returns from game sales. So investors can invest in the game title in return for a share of the profits. Launcht is a white label crowdfunding and crowdvoting platform which enables you to crowdfund on your own website. If you have a strong brand and following already, then you may want to explore going it alone! This option will definitely not be for everyone but it is one to be aware of if you feel confident enough in your following to use it. Thrinacia is a platform that enables you to set up your very own crowdfunding website. They describe themselves as delivering the next generation of CrowdFunding tools and essentially let you create CrowdFunding Portals so that you can run your own set of campaigns however you wish to. Some of these sites you may already be aware of, but it can be useful to explore all of the options available to you when it comes to crowdfunding and also any other funding opportunities for your project. Combining options can also work well rather than relying solely on one of these to work for you, so get creative, do your research and make sure that you pick the right funding source for you and your project. About the author: Ninichi is an experienced game music and film music composer. She creates music for games, film and other media, and would be delighted to help you create the music for your game or project. Introducing the Game: Calico - Out on Kickstarter Now! If this is your first time visiting my blog, welcome! I’m a game music composer and believe that communication is key to a strong working relationship. In order to ensure that you get the best music for your project, whether it’s a game music soundtrack, film score or anything else – knowing how to communicate effectively with your chosen composer can really help. Are you thinking about hiring a composer for your film? If so, this can be a really fun and exciting process, but it can also be a little tricky. It’s important to take the time to get it right and to find a film music composer that you’re comfortable and confident working with. It’s not always easy to determine who might be a good or bad fit for your film, and so that’s why I’ve put together a few pointers to hopefully help with that. I’m a freelance composer and have worked with numerous indie filmmakers on the film music soundtracks, for their amazing creations (get to know me & my music!). It is always an honour for me to work on an indie film and with such talented artists, and knowing that those who work with me trust me with their film music soundtracks means a great deal to me. However, I also know that they’ve taken the time to do their due diligence and to get clearer about what they want and need, before deciding to work with me. So – you must do the same when thinking about which film composer is right for your project. This may sound simple and perhaps obvious but really – what do you need music-wise for your film? Do you know how much music you need, where it would go, when you need it by etc. etc.? Also is it a one-off project or are you looking for a composer that you can turn to for on-going projects? Knowing the answer to these types of questions will help you to narrow down your search when looking for a suitable composer – since it means that you need someone who can do all of these things for you. If you’d like someone that you can rely on for future projects, it will definitely be worthwhile to spend a bit longer finding the best person for the job. Now that you have some idea of what you need, think about the type of person you want to work with and what sort of experience and track record you would like to see from them. Check out the composer’ portfolio to get a sense of who they are, what they’ve done and generally if they are credible and reliable or not. Having a strong track record can be important since it is often a sign of their capabilities and knowledge of the industry and the process. The more experience they have, the less hand-holding should be needed and the more you can trust their ability to deliver great music for your film. See what others say about them i.e. if they have any testimonials. They’ll also be seen as part of your overall team, and so you must choose someone that you can proudly say is a part of your production. Everyone that’s been involved in the making of your film will be associated with each other at least on paper if not in real-life and so it’s important to feel confident that everyone who you work with is a good representative of you and your project. Think about what kind of music you need for your film in terms of the moods, the tone, the emotions and the styles. Music is an incredibly important component in films and it is often used to enhance key moments and to bring out the emotions onscreen. Making sure that the composer you decide to work with can handle this well and compose in the style or styles of music that you like and are hoping for, is really key. Take the time to listen to their work and to explore their music. Can they compose in the styles of music that you need? Do they have range and versatility? Are the melodies they compose memorable? Does the music suit the films they compose for or is the music distracting? For some ideas, feel free to check out some of the music I've created for films - see my film music. Listen to the different styles and imagine what kind of music might work well for your film. Just as you will be hiring for other roles for your film – like the cast & crew, your composer is part of that team. You need to like, trust and respect who you hire. Think about the kind of personality you’re looking for and what traits you feel are important to you and to this project. Don’t be afraid to ask questions, to interview potential composers and to make sure that you feel comfortable with who you are about to work with. Communication is key for any kind of work relationship but especially so for the composer to filmmaker relationship. If you can’t communicate easily, get on the same wavelength and discuss your ideas together, it won’t work. Ok, so you’re an indie filmmaker and thus, your budget (or lack of budget) may make things challenging. However, don’t skimp on the music to your film! You’ve put your time, energy and money into creating your awesome film – don’t let the lack of attention and investment in music, bring the whole thing down. If you want to hire a composer, then you must budget for them. They will be creating custom music to fit your film and to help bring your vision to life. This takes time, talent, thought & care, skills & equipment. Your composer deserves the opportunity to give you the best of their talents and that will almost definitely come at some cost. However, don’t be scared. Most composers will have some flexibility with their rates and if they like you and your film, will be willing to negotiate with you. They want to work with great people and on great projects too, so don’t be afraid to open up a conversation and to explore what’s possible! So there you have my 5 tips on how to choose a music composer for your project. Still feeling a bit stuck? Want more help with the music for your film? Let's chat! I'd be happy to talk through the process in a bit more detail, answer any questions you have and to explore working with you if you think there could be a good fit! 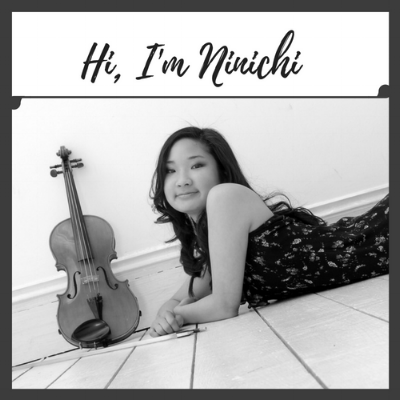 About the Author: Ninichi is a freelance film music composer and game music composer, who's music has featured in numerous films, tv shows, games & more. She has worked on a variety of indie films & would be delighted to help you with your film project. 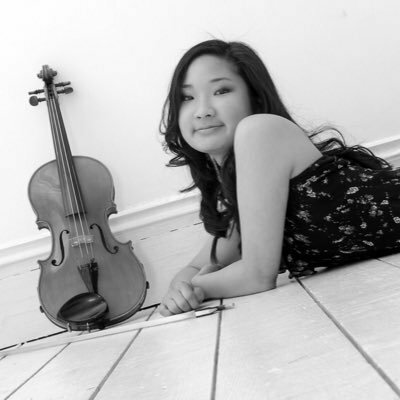 Check out examples of her film music here & contact her to explore working with her. Who are you and how did you get into animation? 'My name is Erik Boismier. I was born in Chatham, Ontario and grew up watching just about every animated series I had the time and capacity for. When I was 8-years-old, I had something of a revelation when I realized that making cartoons was a job, and ever since then, it was what I wanted to do for a living. I went to St. Clair College in Windsor, Ontario for their “Tradigital Animation” program; it was a great program for learning several forms of animation (hand-drawn, stop-motion, 3D, etc.). Some time after graduating, I made an impulsive decision to move to Vancouver, BC and look for work in the animation industry there. A former college classmate was already working in the area and introduced me to a number of her colleagues. In 2013, I got my first job in the animation industry, at Bardel Entertainment as a builder* on the show “Mother Up!”. *The job of taking finalized designs of characters and props and turning them into animate-able digital “puppets” for lack of a better term. Where did the idea for Warmth come from? 'A long time ago, in part thanks to an online discussion about animation I was lurking on, I got the idea to do something where I could animate two characters with different animation styles interacting with each other. 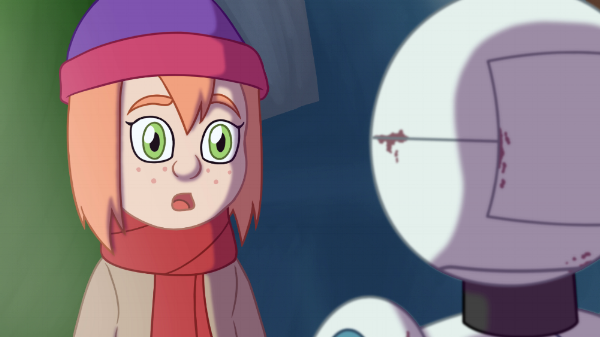 Clara, the girl in the short, is entirely hand-drawn frame-by-frame. Meanwhile, the robot Aleph is a build; digital cut-out puppet with the pieces pre-drawn and then manipulated to create motion. Certain elements of the story were definitely influenced, whether subconsciously or deliberately, by Big Hero 6 (a robot with health care abilities) and The Little Match Girl; another short story and animated short(s) about a young orphan struggling in the winter. Were there any challenges in the making of it? Also what are you most proud of from all of this? 'Like a lot of things, the first major challenge was getting started. I had certain story beats worked out very early on but could never figure out a way to tie them together. I began discussing the idea with a friend, and he brought up the idea of a junkyard setting. Once I had that piece, everything else started to fall in place and I began writing the original story treatment. The next big challenge was the background painting. My skill set is primarily that of a character animator; environments have never been my strong suit, and painting is something I have never excelled at. I took some time to look up and learn painting techniques I was unfamiliar with. There are backgrounds in the short I'm quite proud of, but there are some others that I still sort of wish I could have done a better job on. Using coloured line work proved to be the most time-consuming part of the animation. For Aleph, it wasn't much of an issue since the nature of his animation meant there weren't too many unique drawings. For Clara however, it meant breaking up the lines around every specific colour fill (skin, hair, scarf, etc.) and then filling those lines with the correct line colour; and doing that for every single drawing of her. I don't regret doing it because I love the look of coloured line work, but it was enough to make me decide against it for whatever my next personal animation will be. I would say I'm most proud of finishing the short. I've always had a bad habit of starting personal projects with a lot of ambition that end up going nowhere. That, and there are a couple shots I laid out as a deliberate challenge to myself. When Clara first walks up to Aleph, you see her reflection in his eyes. The moment I got the idea for that shot, I knew I had to do it, but expected it to be complicated to put together. Honestly, that one really wasn't that bad in the end. Who was involved in the creation of Warmth? 'Visually, Warmth was basically a solo effort; I wrote the plot, drew the storyboards, painted the backgrounds and animated the characters and effects; but I did have help and support from friends. My friend and roommate Grant, as alluded to earlier, helped me put the story together with the idea of the junkyard setting. 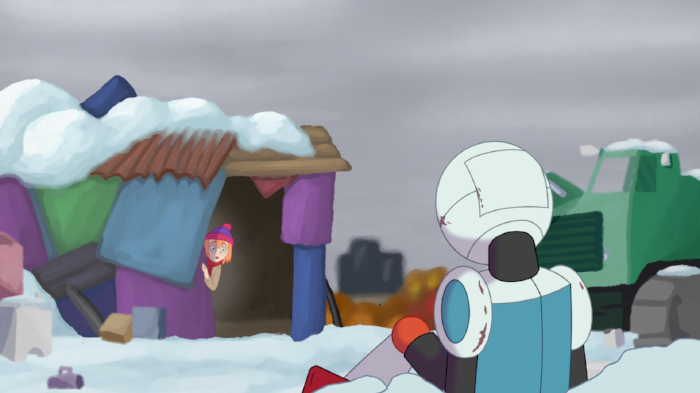 He also assisted in updating some of the backgrounds (adding a little more scrap and junk). Another friend, Rachel, was consistently supportive while I was regularly showing progress updates to her. She also named her daughter “Claira” after I suggested the name (albeit spelled differently) based on the character in the short. My on-going employment at Atomic Cartoons was also extremely helpful. The experience they've given me has improved the quality of my animation and my proficiency with software like Toon Boom Harmony dramatically. What part does music play in it? 'While I believe that good animation can sell its mood with or without sound, music is a great tool to emphasize that intended mood. A good balance of music and silence is important too. I'm not a fan of wall-to-wall music placement that some shows use and made a conscious choice early on not to do that with Warmth. The nice thing about a fully produced piece of media is that each element can compliment the others and elevate them; for instance, good music can often carry an otherwise weak scene. Pacing is something I agonized over throughout the production, often extending or shortening scenes, even by a factor of 3 or 4 frames sometimes. The final timing still had some bits I was unsure of, but your music pulled them together really well. Why did you decide to work with me and how was that whole process for you? What do you think of the music now? 'When doing any kind of self-funded production, it's incredibly tempting to use as many free resources as you can to keep the cost down. While I didn't have too many qualms with using public domain sound effects, music was a different matter. The name Kevin Macleod springs to mind as probably the most popular source for free background music. His music is great, but it presents a problem if you want your material to stand out: Everyone uses it. And because I really wanted Warmth to have an individual identity, I decided it needed to have an original (or at the very least, less ever-present) soundtrack. So I began searching for a composer to commission. I encountered a couple of dead ends along the way, but a Google search did eventually lead me to your website. I listened to a number of the tracks you have available and was impressed by the range I was hearing. While the music on the site is great, I had trouble envisioning the tracks I was listening to as music to use in Warmth, so I opted to contact you directly. Working with you was fantastic. You composed the soundtrack much faster than I expected and I only ever felt the need to call for a couple minor changes. What are your plans for the short animation? In my final year of college, I attended the Ottawa International Animation Festival (OIAF), which features several screenings of independent animated shorts. I would really like it if Warmth could be included in one of those screenings, so I'll absolutely be making an effort for that to happen. I'll be looking into other festivals as well. I'd also like to spread it around online. I'll likely be dropping in on a number of animation communities across Facebook, Reddit, etc. to share the YouTube link. About the author: Ninichi is a UK-based freelance music composer. She has composed the soundtracks to various games, films, shows and more. Contact her: to commission music for your project now. Introducing the Mobile Game: Mini Hospital - on iOS & Android!